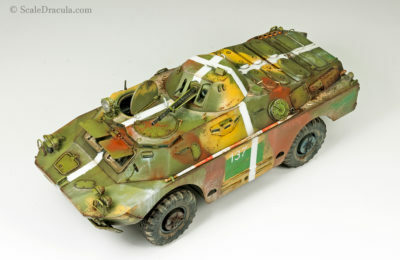 Today I’d like to show you some more scraps from my ZSU-57-2 project. 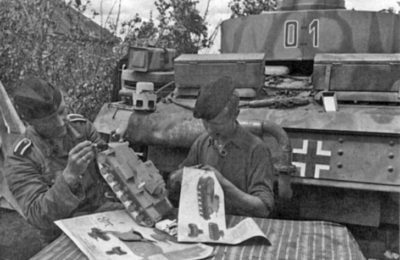 This time it will be a guide on how to paint and weather urban warfare style tracks. In this tutorial I work with metal tracks. If you have plastic or vinyl ones the SBS will still work for you. 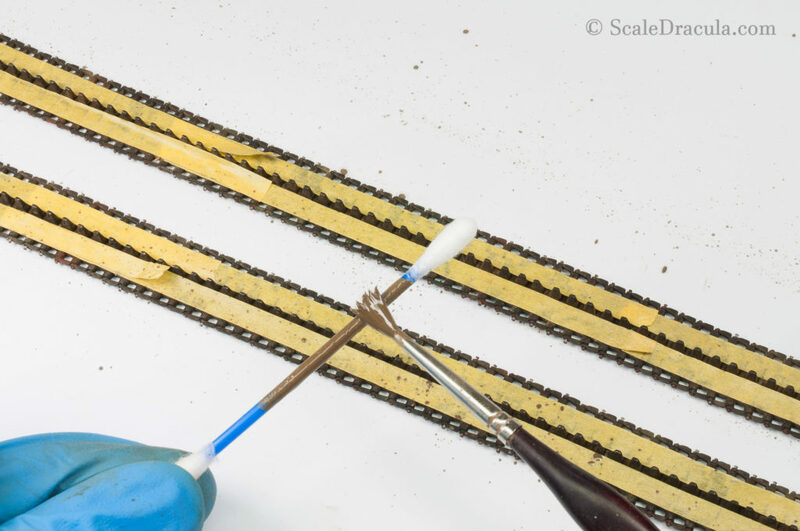 Just paint your tracks dark brown and jump directly to the step 3. 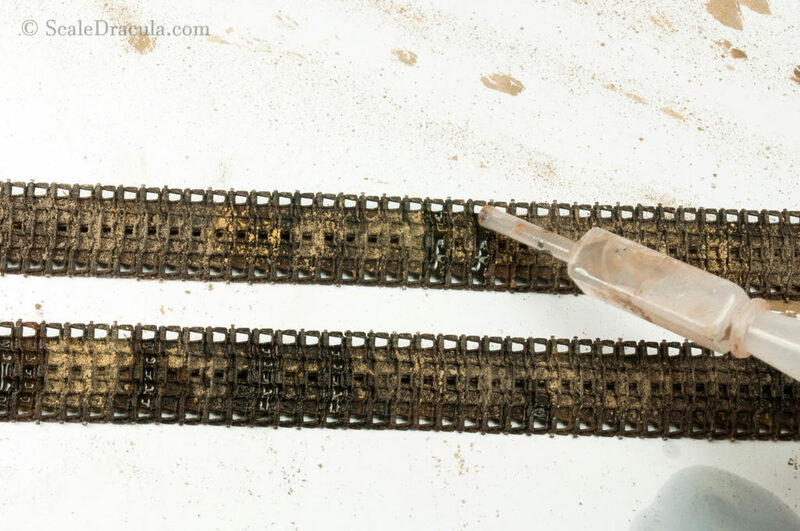 After assembling the tracks wash them in vinegar to get rid of any factory grime. Then pour the burnishing fluid into a hermetic tupper-like container. Give your tracks a bath of approximately 10-15 minutes. You can experiment with the time to get different results. I would say 5 minutes is the minimum time to get a decent result. Above 15 minutes, your tracks are going to rust big time. 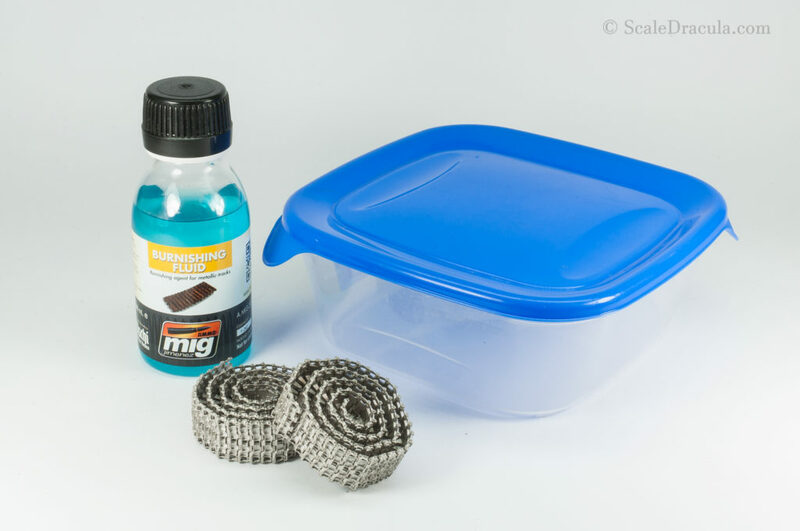 You may shake the container a bit to get rid of air bubbles stuck in the tracks. This is never 100% successful though. I use an old toothbrush to sort of force the fluid into every nook and cranny. 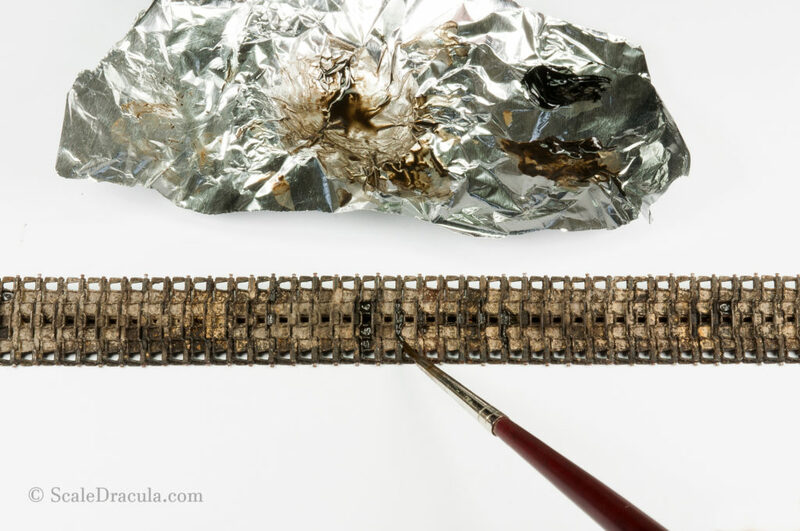 Dry your tracks on a piece of kitchen paper. The result of burnishing is really convincing. 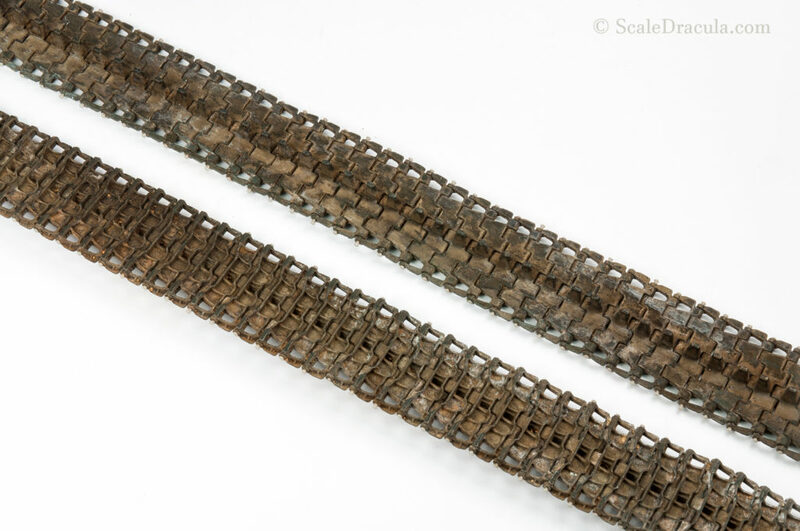 That’s why I love to work with metal tracks: you can get a very realistic random effect with literally no effort. 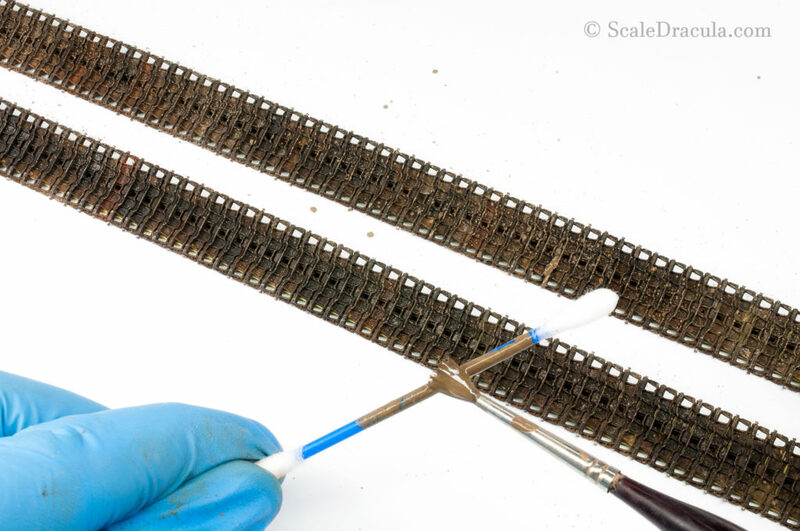 Important: Don’t use the burnishing fluid BEFORE assembling the tracks. It will make the assembly much harder and the final result will be much worse – trust me on this. 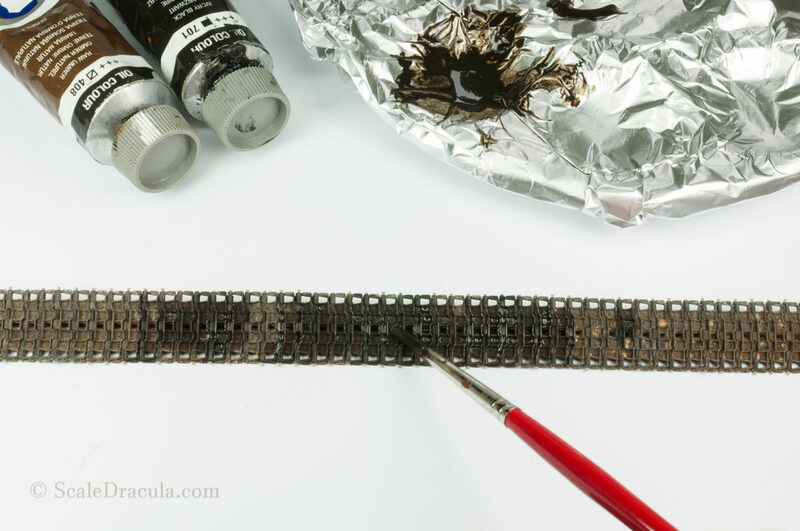 Apply a dark brown oil wash. Enamel products will work equally well. You can dilute the paint with white spirit. You don’t need to cover the entire surface. Create some contrast. We’re going to use oil paints again, but more colours this time. Pick out random track links with an additional wash. You can create some rust effects for example. 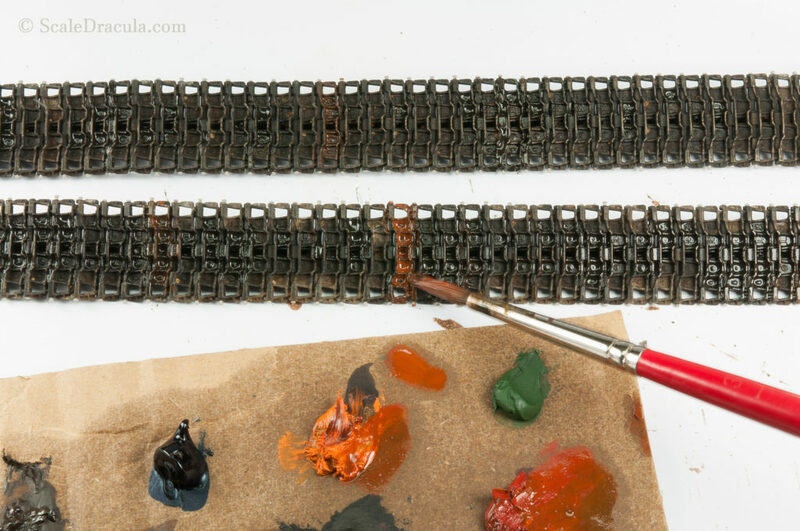 I found out that yellow ochre colour works nice in creating a faded look on the tracks. 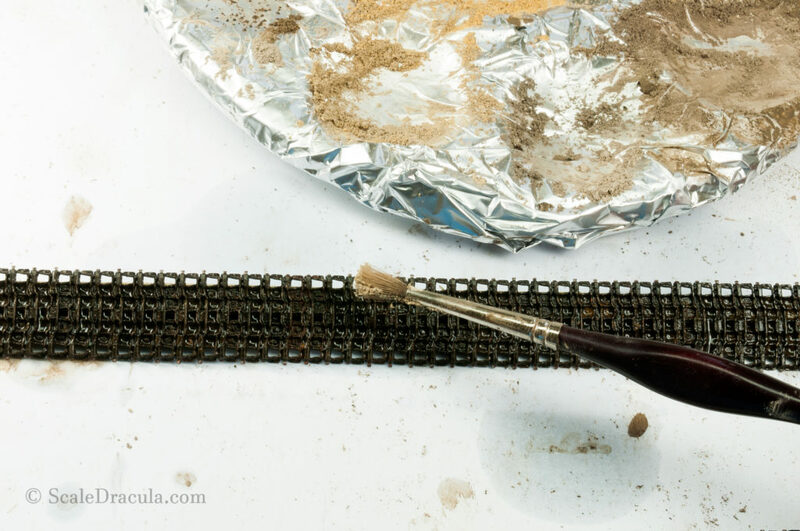 Mix some enamel mud products with pigments and do a quick speckling. You can add some plaster to the mix if you want to get a thicker structure. Use a multitude of shades to take the effect to the next level. 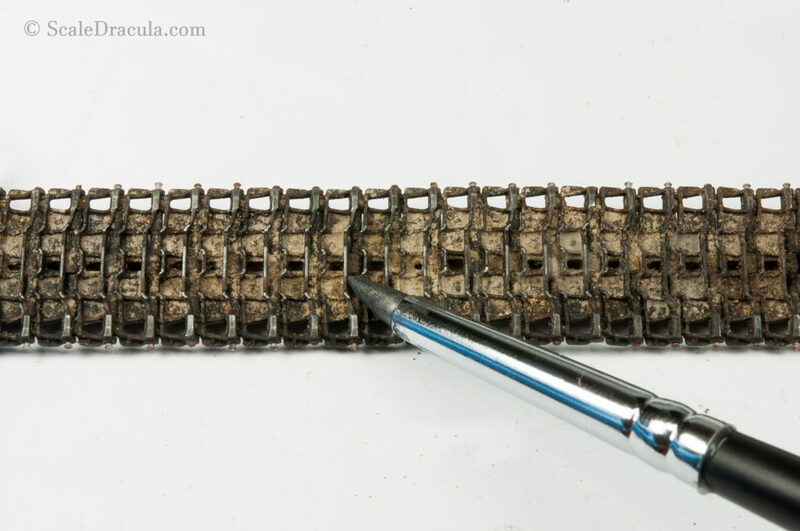 Let’s flip the tracks to the other side. 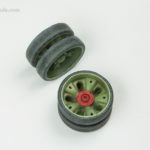 Use Tamiya tape to do some masking. These are the areas the wheels are rolling on. 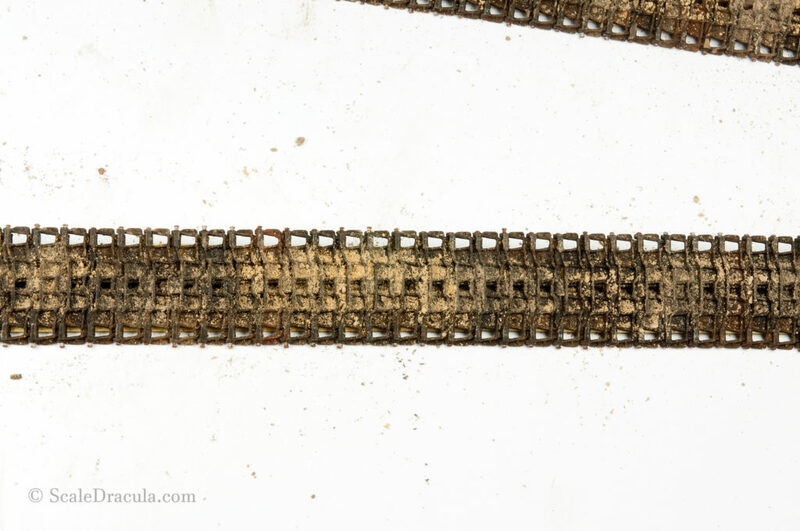 I figured that relatively dry dirt will be pushed out of the places that are under constant friction. Let’s jump to the pigments. Prepare a palette of contrasting but light colours and apply them randomly with an old brush. 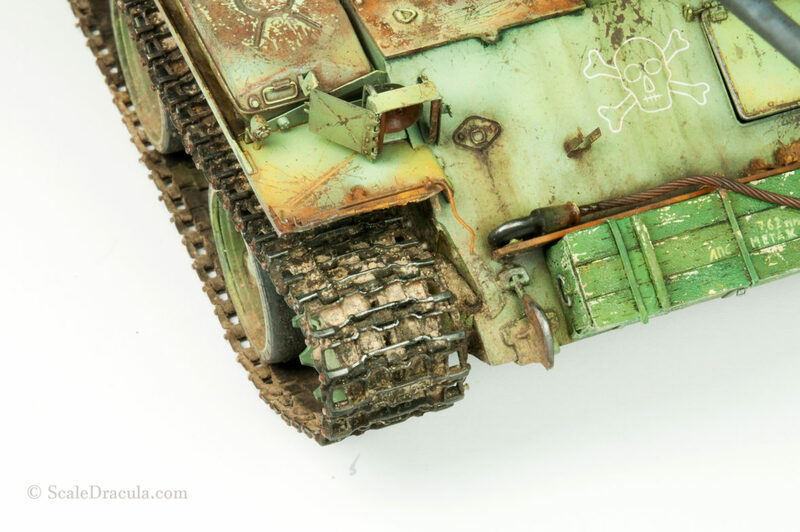 I use a variety of pigments – both modelling dedicated products and cheap art-store ones. Fix the pigments with white spirit. It’s best to use a pipette to preserve the pigment’s natural accumulations. When the white spirit is still wet, add even more pigments to build up the volume of dirt. Now we will create some greasy wet stains. Mix enamel Wet Effects product with dark brown oil paints and a little bit of white spirit. You cant use enamel glossy varnish instead of Wet Effects product. Apply the mix on the tracks. The link joints are the most appropriate place for application. You may need to repeat the process a couple of times to get a profound effect. 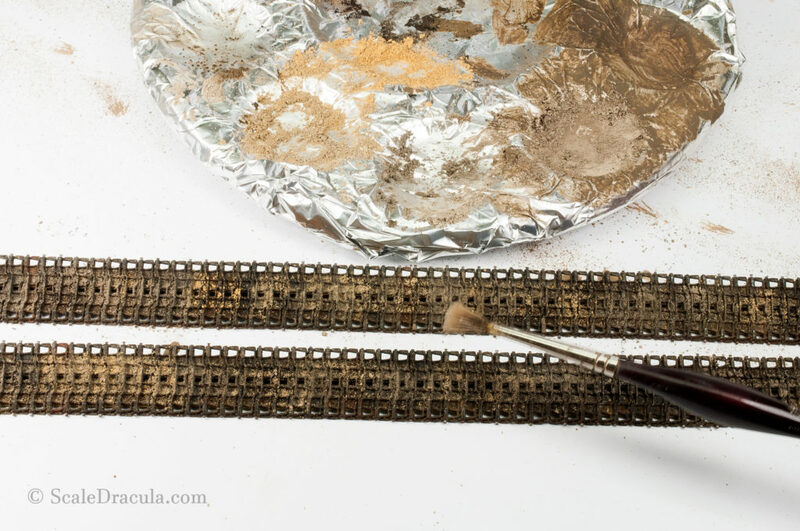 Polish the tracks with Gun Metal pigment or graphite powder. 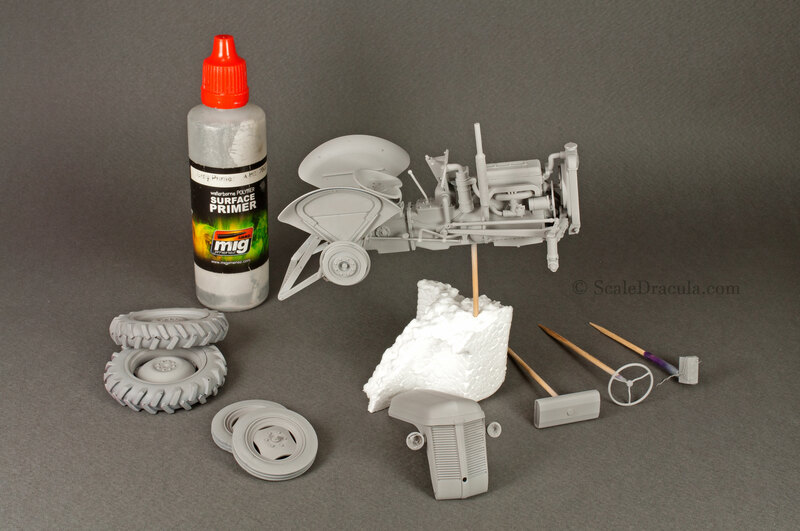 A silicone brush is a perfect tools for this task. I highly recommend it. You can use it for sculpting as well. 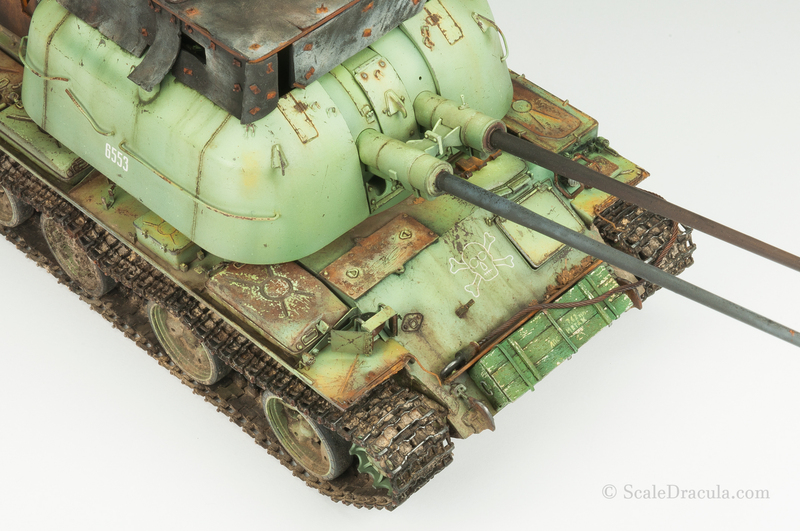 Put the tracks on your tank and enjoy the view. Why is this kind of finish good for vehicles in urban environment? Well the dirt in cities is a mix of earth, dust, sand and concrete. And usually it is lighter in colour than the earth in the field. And secondly, vehicles fighting in the urban area usually move on hard, asphalt roads. This makes their tracks very shiny from the constant friction. 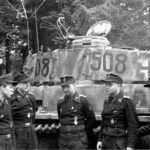 Which tracks did you use on zsu-57-2?